We have provided a sampling of our available Kauai vacation rentals, resorts, condos, travel lodging & vacation Kauai accommodations. 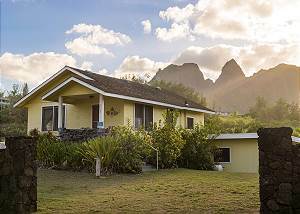 We have many more properties available for rent, so please call, fax or e-mail for information on other Kauai vacation rentals. Select a property from the menu below. Please ask us about our last minute specials! alii kai resort 12d, breathtaking sunsets, mountain views of "bali hai"
A great location near Hanalei Bay, Anini Beach and the pristine Na Pali Coast. 2nd floor, studio unit on Kauai's north shore. Full kitchen and dining area, shared washer/dryer, private lanai, complimentary wifi and parking. No resort fee. Sleeps 2. 2nd floor, 1 bedroom, 2 bath, garden view unit on north shore resort with full kitchen, washer/dryer, complimentary wifi and parking, resort use included. King bed and sleeper or air mattress. Sleeps 4. Near Hanalei Bay, Anini Beach and Na Pali Coast. 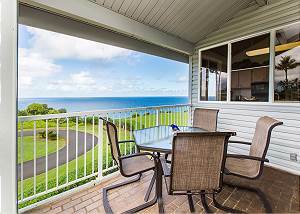 cliffs at princeville ocean bluff, ac in master br, ocean views! 2 bedroom, 2 bath, 3rd floor Oceanbluff North Shore Condo, Full Kitchen, Washer/Dryer, Complimentary Wifi & Parking, Pool & Hot Tubs, Resort Activities. King bed in the master w/portable AC and 2 Queen beds in the 2nd bedroom loft. Sleeps 6.
heavenly beach home, enjoy oceanfront living and beautiful sunrise views! 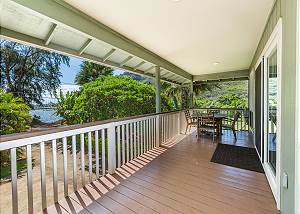 Hale Hololani "Heavenly Home", Oceanfront, 2 Bedroom, 2 Bath, AC, Full Kitchen, Washer/Dryer, Bike Path, Beach Access, Wifi & Parking. King bed in master, 2 twins in 2nd bedroom (convertible to King) and sofa sleeper in the living room. Sleeps 6. 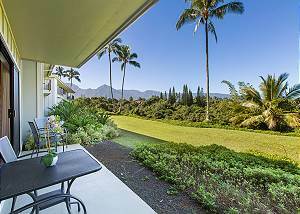 Charming remodeled 2 bedroom beach cottage located in Anahola. Walk to sandy beaches, enjoy swimming, surfing and shell hunting! Stunning Mt. Kalalea views remind you of "old Hawaii" and the uncrowded beach is just a short walk across the street. islander on the beach #348, oceanfront, moon rise, sunrise, ac, comp wifi! Oceanfront studio unit with spectacular sunrise, moon rise and beach views from your private lanai. Equipped with a kitchenette, AC, complimentary wifi and parking. Queen bed, sofa sleeper. Sleeps 3.